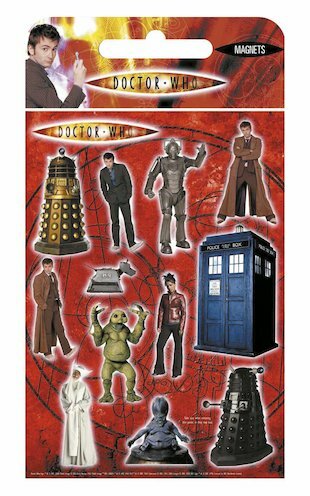 Exterminate boredom with a stunning set of action magnets straight from the planet Gallifrey. The Doctor! The Daleks! The TARDIS! ACTION!! Stick them over your fridge, desk or any metallic surface for an instant adventure with Doctor Who. Whoo-hoo!